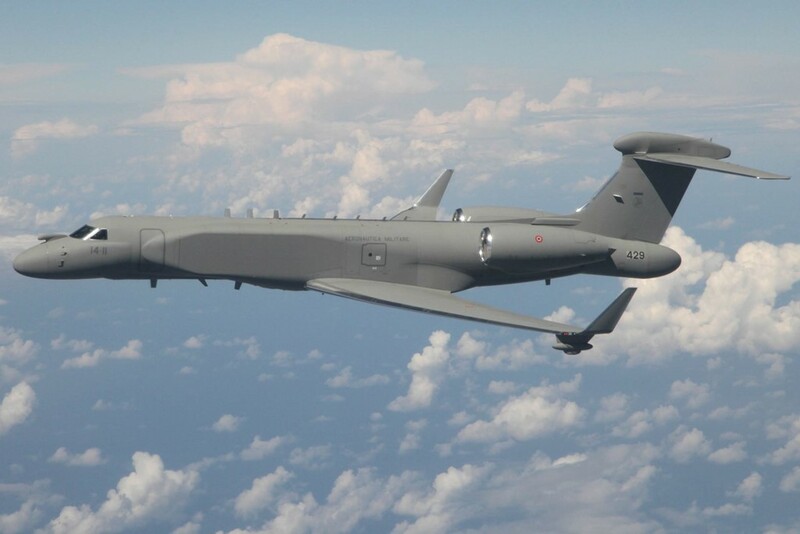 Israel Aerospace Industries has delivered its second Gulfstream G550 conformal airborne early warning (CAEW) aircraft to the Italian air force. January 22, 2018 - This morning, the Ministry of Defense and Israel Aerospace Industries delivered the second Conformal Airborne Early Warning (CAEW) aircraft to the Aeronautica Militare (Italian Air Force). As part of the transaction, Israel Aerospace Industries provided two CAEW planes to the Italian Ministry of Defense. CAEW is an early warning and air control system developed by IAI and installed on the Gulfstream G-550 business jet. The first G550 CAEW was delivered to the Aeronautica Militare (Italian Air Force) on December 19, 2016 during a ceremony that was held at Israel Aerospace Industries (IAI), Israel. The two aircraft are assigned to the 71° Gruppo of 14° Stormo based at Pratica di Mare. More details about the Gulfstream G550 are available here.